The Nike+ Fuel Band, in a nutshell, is a neat and unique piece of equipment worn on the wrist to record daily movements. These movements, whether it’s walking, dancing, or even raising your phone to your ear, are translated into “Fuel Points.” The more you move, the more points you earn. The more points you earn, the more cookies you’re allowed to eat (just kidding). The Fuel Band is an excellent way to keep track of your daily movements and promote a healthier and more active lifestyle. At $150, the Fuel Band is a bit pricey. After testing it out for two months and performing a variety of exercises, I’m here to tell you if this gadget is worth the cash. Running is the perfect exercise for the Fuel Band. The Fuel Band recorded every stride and swing of my arms. Even the band’s recorded running distance matched up with the treadmill’s recorded distance. 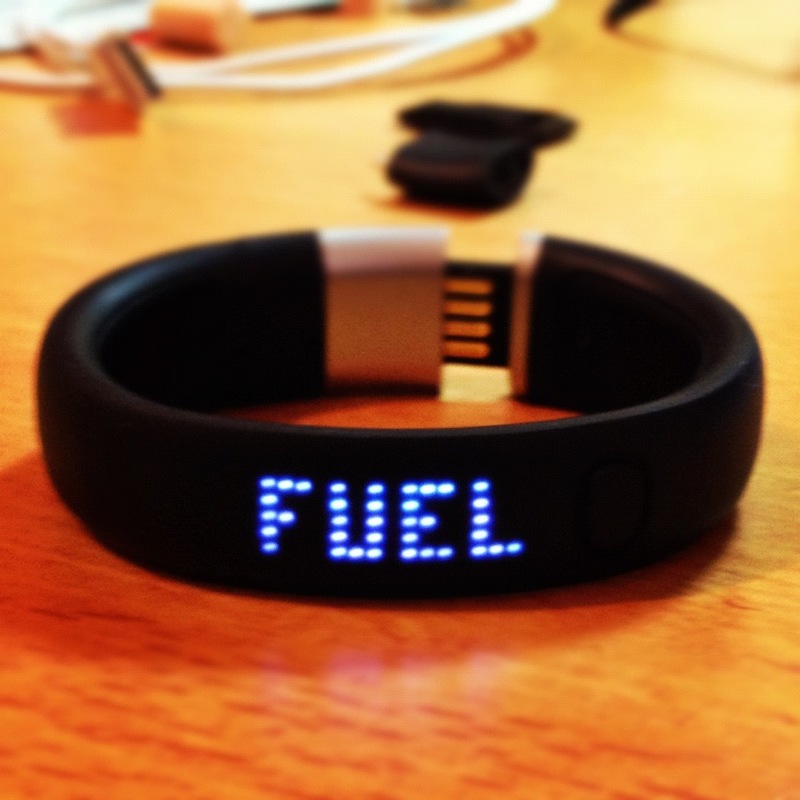 Since the Fuel band is based on motion, it accurately counted the fuel points earned. The Fuel Band was almost useless during this exercise because the band is only worn on the wrist. Pretty self-explanatory. To earn fuel points, you can tie the band to your shoelaces. I tried this once and it worked out quite well, similar to running. Since the Fuel Band is not designed to measure how much weight is lifted with each motion, the fuel points earned are an underestimation. When performing the flat-bench bench press at 185 pounds and 10 repetitions, I only received roughly 10-15 fuel points, while I know earned at least 100 from all the pushing I just did! Because the Fuel Band only measures movement, the fuel points are not a precise indicator of how much fuel you actually use. This was definitely a fun way of testing how many fuel points I could earn in an hour of basketball. Due to the constant movement of my arms during a game from running, jumping, and dribbling the ball, I earned more fuel points while playing basketball than running. The only problem was that the band would sometimes unbuckle from getting bumped by other players. Though the band did not fall off, it was still bothersome to know that the band was not completely secured. But overall, the band provided an accurate measurement of how much I moved while playing basketball. The usefulness and effectiveness of the Fuel Band depends on each individual and his or her commitment to staying active. If you are serious about your fitness and are interested in how much you move each day, the Fuel Band will be worth the price. You can even share your daily achievements on Facebook and see how you compare with your other friends or athletes. It is definitely a cool way to relate to professional athletes or to just look fashionable with a sweet band around your wrist. The Fuel Band can also motivate you at the end of a long day. It can serve as a physical reminder of how many fuel points you need to reach a goal. If you’re only 100 points off, you can just do some jumping jacks, or run in place. 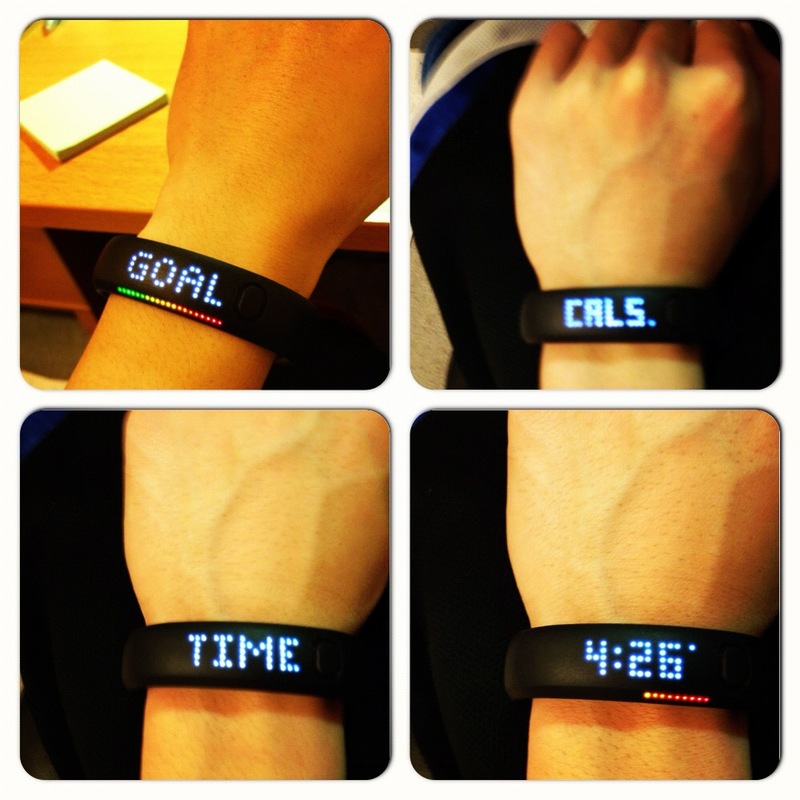 Whatever you need to do to reach your goal, the motivation is on your wrist and the power to do so is within your body.